Usually called “the mouth of Kotor”, this fjord, the deepest in Mediterranean, gets about 32 km into the mainland. The high peaks surrounding the fjord procure a magnificent atmosphere of this place. The village Perast faces the church of Virgin of the Rocks, situated on an islet. The road continues towards Kotor, the city of a stormy past giving it a special place in the history of this fascinating region. These ramparts, built on the sloping flanks of the hills, enrich the natural decoration. A guided visit reveals the rich cultural patrimony, which would otherwise remain unknown. 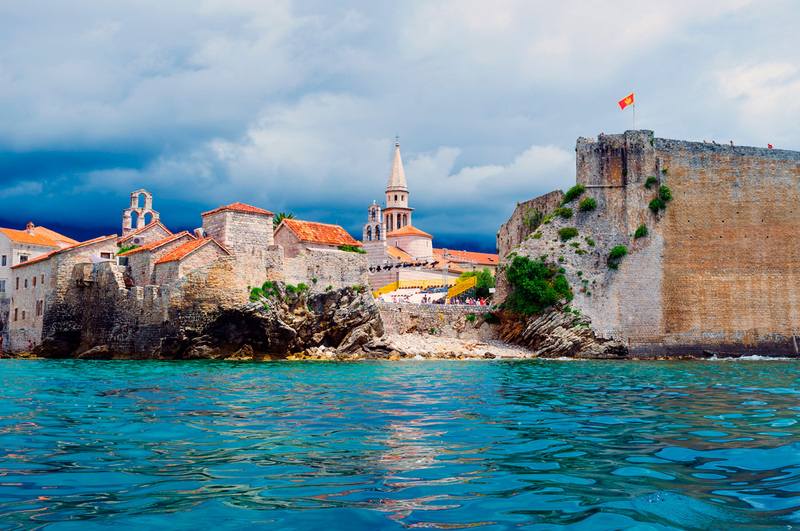 Budva, the most popular tourist place of the Montenegrin coast, is also a cultural centre and a historically very important town. Fortifications, built during the Turkish invasions, are still rising in the old city that faces the sea and the islet of St. Nikola, but also encloses numerous monuments, where many medieval frescoes are still visible, and carefully restored. The islet of St. Stefan is also called a city-museum. It is a living testimony of the glorious history of the Pastrovici tribe. This rock is connected with the mainland by a narrow sandbank, consolidated at the beginning of the 19th century. The spoils won in the war against the Turks contributed to the building of the fortification, which has been preserved as originally constructed.